One of the most mind-blowing things about Montréal in the winter is that there’s as much to do outdoors than there is indoors! My perceptions of deserted streets were chucked out the window in an instant! The city’s expansive parks are the perfect decor for loads of fun in the snow or on the ice. Montréalers hit the parks to go cross-country skiing, ice-skating, snowshoeing and tubing. 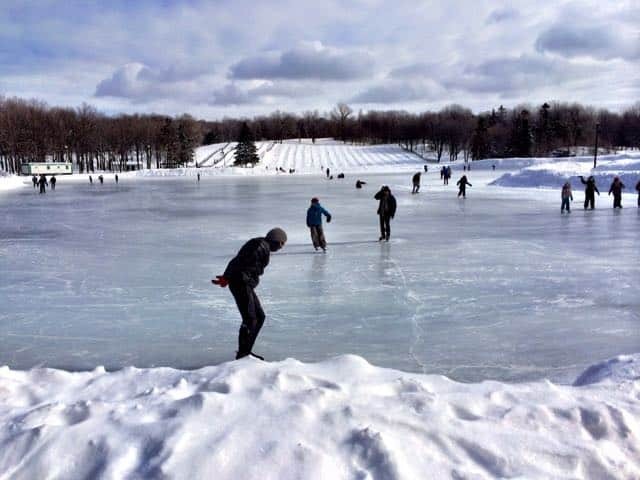 At the gorgeous Mont-Royal Park, visitors can hire skis, snowshoes or skates. My favourite was without doubt, the tubing experience! 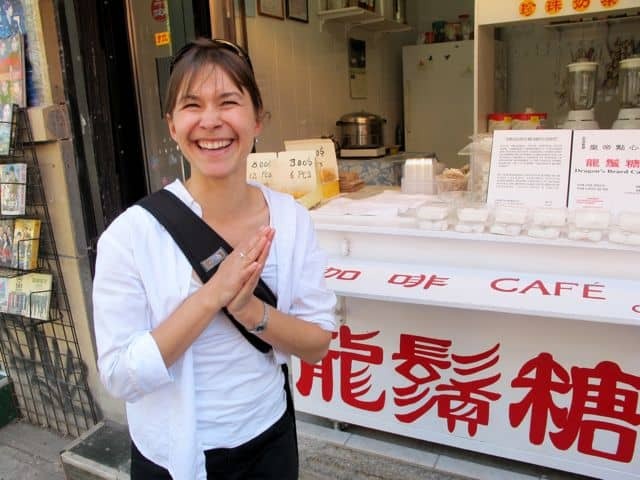 You can also opt to join winter tours by Fitz and Folwell which include various winter activities. As they so aptly put it, “Despite the cold temperatures and occasional blizzard, Montrealers have learned that hibernation is no way to spend those long winter months. In fact, most will agree that wintertime in Montreal is magical. ” I wholeheartedly agree. Winter fun at Mont-Royal Park. A panoramic view of Montréal from Mont-Royal Park. In the weekends, head to Parc Jean Drapeau for the Fête des Neiges (snow festival) for a host of fun winter activities for the whole family. You can go dog-sledding, ziplining, tubing or snowshoeing; attend a concert; or indulge yourself at one of the eateries. Les 400 Coups – one of my favourite Montréal restaurants. Montréal boasts the longest underground tunnel network; spanning 33kms (20+ miles), it’s quite literally a city under the city! There are loads of shops, cafés and restaurants to visit and stunning public art to admire. You can shed your thick coats, shawls and gloves down here and go on a leisurely stroll. Montréal has a world-class gastronomic scene, ranging from ethnic specialties to gastronomic decadence. 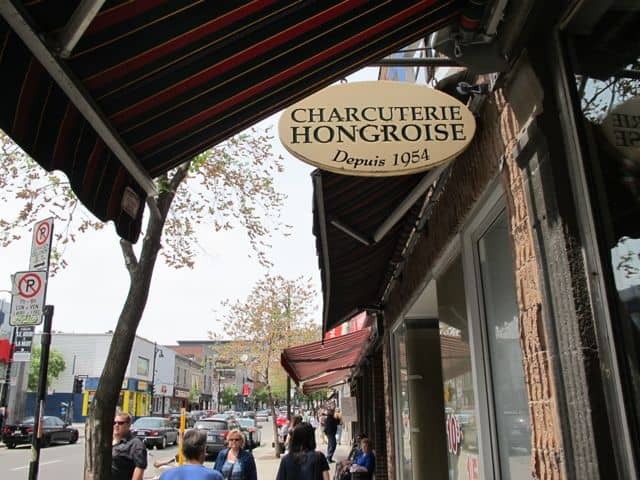 I highly recommend going on a food tour along Boulevard St. Laurent. It’s a brilliant introduction to the diversity of Montréal’s food scene and its multi-ethnic people. Many of my favourite Montréal restaurants serve special winter fare but don’t forget to tuck into a plate of poutine, surely the perfect winter dish! Join in the festive spirit! Montréal transforms itself into a winter wonderland during the holiday season with cheery illuminations and numerous festive events. The heaps of snow obviously plays a significant role but it’s a magical experience to see the shops and buildings all decked out with festive ornaments and lights. There are also various Christmas Markets such as the Nutcracker Market and the Botanical Gardens Christmas Fair. Not even a big freeze will stop Montrealers from throwing a party! In the winter months, there’s a multitude of fun festivals and events to keep everyone warm. One of my favourite events is the Montréal en Lumiere, the city’s annual lights festival. For eleven days in winter, the city’s downtown becomes the decor for spectacular light displays, concerts and culinary events. Another event that’s a must-visit, especially for those who love a good party, is the IglooFest. I never thought I would have such an amazing time in minus 25 degrees Celsius temperatures! Located at Montréal’s Old Port, there are beautiful ice-sculptures and ice bars, cozy log-fires and several concert venues. I’ll never forget the experience of dancing along with thousands of people to the latest techno beats. Needless to say, I didn’t feel the cold… not for one moment! 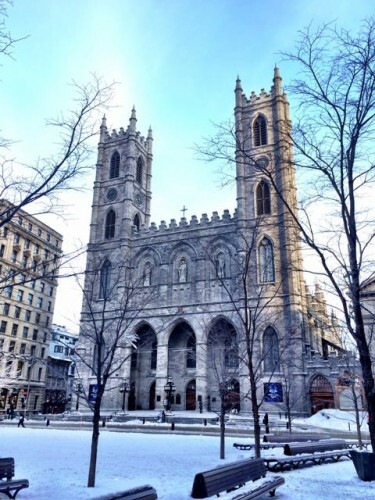 For more ideas on things to do and see in Montréal in the winter, including a schedule of events, please visit Tourism Montréal. Note: this post is the result of the #LoveWinter blogger trip, a collaboration between iambassador, Quebec Tourism, Tourism Montreal and the Canadian Tourism Commission. As always, all views expressed above are mine, and mine only.